Virgin Australia is dropping Hamilton flights. Virgin Australia will end its thrice weekly services from Brisbane to Hamilton, New Zealand, citing a lack of demand. The airline said its last flight on the route would be on October 27. Virgin began flying to Hamilton in 2009. 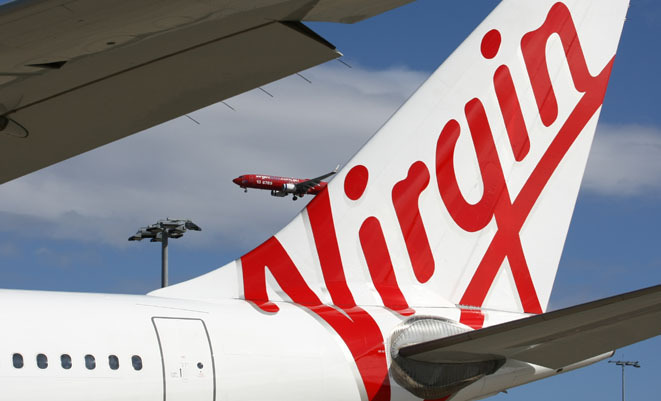 “Despite our support and out positive relationship with Hamilton Airport over the past three years, demand for this service has continued to deteriorate and the service is no longer sustainable,” Virgin Australia New Zealand executive general manager Mark Pitt said. Virgin’s current Brisbane-Hamilton schedule, aboard a Boeing 737-800, departs Brisbane on Sunday Wednesday and Friday at 9:15pm, arriving at 12:25am. Return flights depart Hamilton at 6:45am on Monday, Thursday and Saturday, arriving at 8:40am. Virgin’s departure from the route means Hamilton will lose its only direct international flights, a major blow for an airport that has sought to position itself as a low-cost secondary gateway to New Zealand. Air New Zealand and Sun Air will continue to offer domestic services to Hamilton, which is located about 125km south of Auckland on New Zealand’s north island. Hamilton Airport chairman John Birch said the airport was disappointed by the decision but remained in a financially stable position after having diversified its business into property.